Sabrosura! 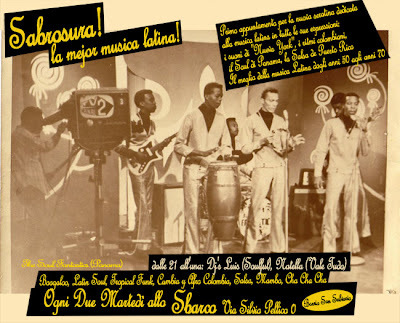 The golden era of tropical music.... a gozar! 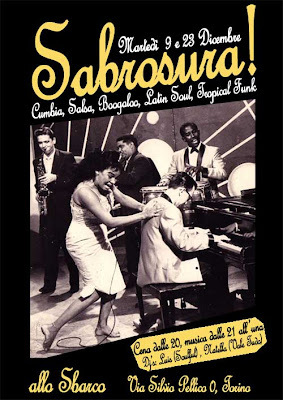 Some of the party fliers of the first season of Sabrosura! 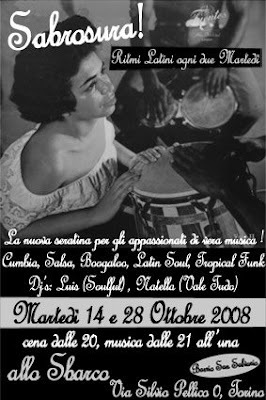 Luis Soulful and Natella spinning at "Lo Sbarco" and "Velvet Club" in San Salvario, central barrio in Turin.